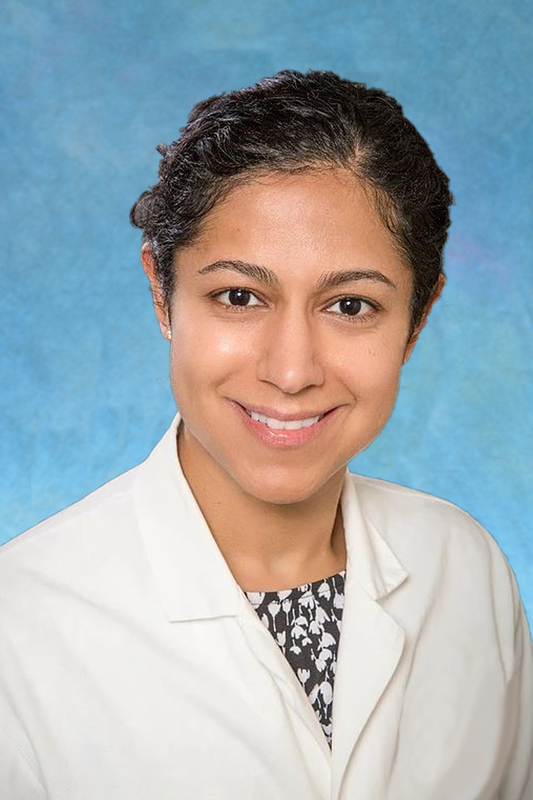 Gita Mody, MD, MPH, joins the UNC Department of Surgery in Chapel Hill as Assistant Professor, Division of Cardiothoracic Surgery. She discusses her enthusiasm for becoming a mentor in the thoracic surgery residency program, her inspiration for becoming a physician, and a challenge she faced on the road to becoming a highly skilled surgeon. Gita (pronounced Geetha) Mody received her degree in molecular biology and computer science from Vanderbilt University in 2002. Upon graduation, she entered Washington University School of Medicine, graduating in 2007 where she was awarded multiple accolades including induction into the Alpha Omega Alpha Honor Society. She began her general surgery residency at Brigham and Women’s Hospital, and also completed a research fellowship in Global Health Equity in general surgery in 2012, and finally, her cardiothoracic surgery residency in 2016 at that same institution. She received her MPH in Clinical Effectiveness from Harvard School of Public Health in 2012. Dr. Mody joined the faculty of Harvard Medical School in 2016 and was most recently an Assistant Professor of Thoracic Surgery and an Associate Surgeon at Brigham and Women’s and South Shore Hospitals. What brought me to UNC Surgery was the exciting opportunities it afforded me. I really enjoy the people, the patient population, the research and the clinical possibilities. There’s a clinical need here, so the chance to serve in this area was very important to me. What do you want to bring to this area? I am hoping to help improve access to patient populations who haven’t had as regular or enjoyed as frequent access to thoracic surgeons. I think that there are still long waiting times, so access to additional surgeons can positively impact this area and I am looking forward to being part of that change. So what inspired you to become a doctor? My inspiration for becoming a physician is my father, a retired pathologist. I have modeled many parts of my life around him; he was both a clinician and an academic and he enjoyed working with people, which is a primary driver for me. I enjoy working with people, which has propelled me towards medicine, rather than basic science, where I can work with patients, building relationships and trust, ultimately with the goal to help them live long and happy lives. How did you decide to pursue your current specialty? Has it met your expectations? Surgery was something I enjoyed because I like being active, I like being able to touch a patient’s life, quite literally and in a very personal way. More specifically thoracic surgery because I had amazing role models in cardiothoracic surgery during medical school. I think that when you find someone who inspires you, you want to model yourself after them, so choosing what they do is a good way to get started. That’s a big reason why I went into thoracic surgery. What role did mentors play in your career? I had role models early on in my medical training and mentors later in my career, and I think there is some distinction. Role models were people that I wanted to be like, that I took inspiration from, and mentors were people who wanted to help me grow into the person I could become. That was probably the hardest part about leaving Boston because I knew I was leaving behind some incredible mentors. Getting the opportunity to be a mentor is one of the things I’m most excited about in my move to UNC. The thoracic residency program here is excellent and unique in that it is a six-year program that starts training immediately out of medical school, rather than doing a general surgery residency followed by a thoracic surgery residency. It’s the opportunity to start with the residents from their very first day of training as a surgeon and to give them the tools, education, and guidance to become a highly skilled surgeon. It’s so rewarding to teach someone something that they didn’t know before you started whether it be a sternotomy or how to answer a research question. These are all the things my mentors did for me that I’m very excited about doing this with the residents here. How do you think completing a thoracic surgery residency immediately out of medical school changes the game for a resident? I remember recognizing the day that I was working with a mentor who seemed incredibly invested in me, and when I asked that person “why do you care so much?”, she told me it’s because I was joining a very small cadre of people who all know each other, all work together, and all had an investment in making sure I turned out right. So, I think joining that cadre early for these residents means they get more investment into their future in a personal and important way. One day the resident I train may be someone I either refer a patient to or someone who is taking care of my patient, so I am very invested in making sure that person turns out right. What is it like for you to be a transplant surgeon? When I evaluate someone as a candidate for a lung transplant, I am looking for someone who’s sick enough that they need a lung transplant or should go through one but is also well enough to be able to survive the operation. It’s incredibly life-changing for them. You take someone who can’t breathe and give them a new life. Before every surgery, I take a moment to pray at the scrub sink. I do that because it helps me to pause and focus on what I am about to do. What are your contributions to your specialty? I hope, that my contributions to my specialty involve bringing a different perspective. Some of the most valuable learning experiences I’ve had, ones in which I feel I grew the most, have been when I have worked with people very different than me. I’ve worked with an engineer on a medical device and I’ve also been a part of an NGO medical volunteer organization, which was full of college students and young volunteers, all who brought a new perspective to our work. We were far more successful then we would have been working only within our own fields. Therefore, I hope what I bring to my profession is a different perspective, be it as a woman, as a minority, a wife, a mother, or as a surgeon who works with patients in less resourced areas of the world. I also can’t forget about the point of view as a family member of a patient, which I think is very important. I was asked once why my approach to communication with my patients is so direct. My answer was that I always wanted doctors to be direct and clear with me when they were talking about my parents’ health conditions. It was when their communication was direct that I understood what was happening, so I do the same with my patients. I do think my experience as a family member to a patient heavily influences my practice. I think it’s helped me be a better doctor and surgeon by knowing what it feels like to be on the other end. I want to establish UNC as a leader in thoracic surgical oncology globally. Whether here in Chapel Hill or across the globe in Sub-Saharan Africa, UNC programs place a priority on exceptional clinical care and innovative research. I would like to bring thoracic surgery to the fight against non-communicable diseases for patients, regardless of where they live. This will involve increasing access to surgeons for providers and patients in North Carolina and the Southeast United States as well as develop a research and training program in global cardiothoracic surgery. There are many different things that motivate people towards volunteerism and global health, but for me, the answer falls somewhere in between giving back and being grateful. My grandparents emigrated from India to East Africa, and my parents then came to the U.S. as refugees in the context of political upheaval. I’ve always wondered how different my life would be if I had been born where they grew up, as opposed to being a woman born in America with the opportunity to become an academic surgeon. Therefore I feel like I am giving back to the community of physicians and surgeons in global environments that may not have had the same opportunities I did growing up. I also think a part of me is recreating that almost romantic mythology around my dad’s young adult life as a doctor in the districts of Africa, a story I grew up listening to that inspired me to become a doctor. Can you touch on your research? I focus on research on surgical outcomes that are important to patients no matter where they are. I think quality of life is a very important outcome that we don’t measure well enough in all these settings. Often, in very poor places, you can’t cure someone of their cancer, but you can make their life better. I think that’s also important here, that we don’t only measure survival but that we look at the quality of life. So improving clinical outcomes globally are the driving force behind my research work. What is the legacy you would like to leave behind? I want people to remember that I cared for and about people. That is probably more like a tenant then a legacy, but somehow the two are intertwined in my mind. What is a challenge you have faced? A challenging time in my life was after my son was born and figuring out how hard it was to go from being a couple to being a family. My husband and I struggled a lot to manage the trade-offs required, but we figured it out and came out the other end stronger. We did not succeed every day, yet from this, we learned. We’ve been so lucky to both individually find what we’re looking for in the Triangle area. You don’t have to solve everything right now. People are always surprised to learn I have a twin sister. If you could have a superpower what it be and why? If I could choose what my superpower, would be it would be to have flexible height. I actually want to be taller but tall people say it’s not as great as it seems… so being able to adjust as needed may be the answer.